What Does "SAFU" & “HODL” Mean In Crypto World? Cryptocurrency Slangs are simply some distorted terminologies and lingo that are very native to the cryptocurrency space. In my early days of Bitcoin and cryptocurrencies, I used to feel left out because I knew nothing about these terminologies. And when I joined few crypto groups and trading channels on Telegram and WhatsApp, it became even more confusing to hear terminologies that I haven’t heard before. You have also often experienced this in Reddit, BitcoinTalk, or Telegram communities where you must have seen people misspelling terms like HOLD to HODL despite having an auto correct feature in their phones? Well, the crypto community proud itself in bringing new terms and lingo in the cryptosphere and it is much influenced by Wall Street stock traders. So let’s today see some of the popular crypto-slangs that you might hear now and then. We recommend you to go through this list and share it with your friends who are interested in cryptocurrencies. Crypto Lingo: What Is ‘Safu’ or ‘Safu Binance’? Safu is a term used to denote ‘Safe’ in cryptosphere. But this somehow got turned into a crypto meme and crypto slang. 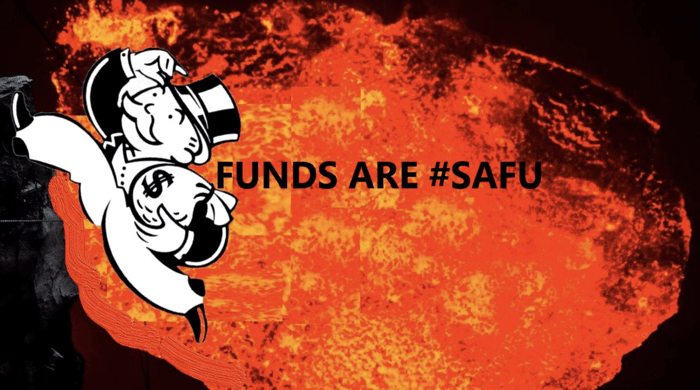 So since then, the crypto community has started using the term ‘Safu’ to denote or ask whether their funds are safe or now on an exchange or in an emergency. Like for example, is Binance Safu? Let’s move on the next most famous term in crypto-slangs. By now I believe everyone must have heard terms like #HODL Bitcoin, Bitcoin HODLer, etc.!! As it is evident that he was drunk, but he deliberately misspelled the HOLD spelling, I think to get attention and which he eventually got. Looks like he was heavily down on Bitcoin but yet decided to stick and HODL his Bitcoin possession. Since then this so-called misspelled term has got a lot of traction, and now every crypto traders use this term with a coin to signal that they are bullish on that particular coin and its price will be a lot higher in future, if not today !! 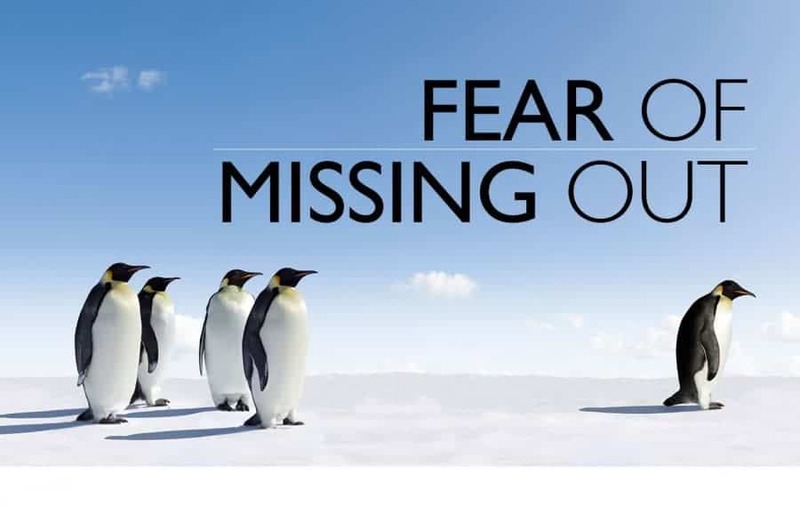 Wiki defines: Fear of missing out, or FOMO, is “a pervasive apprehension that others might be having rewarding experiences from which one is absent”. Similarly, in crypto the feeling amongst investors that hey will miss huge profits if they don’t buy particular coin or cryptocurrency. 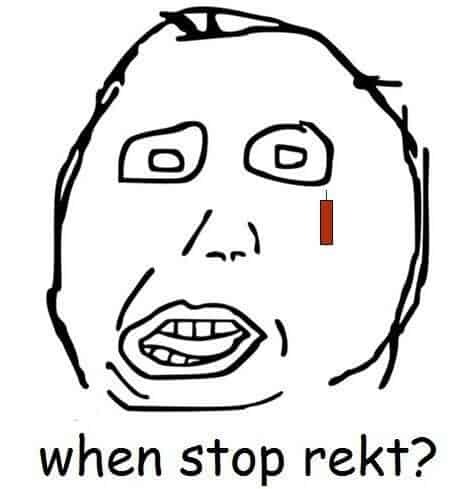 Joy Of Missing Out or JOMO is opposite of FOMO where one is very joyful that he/she missed on a particular opportunity because that was a #rekt trade. A misspelled word for wrecked which means that a trader is destroyed and is in heavy losses by being in a particular trade. This term has been borrowed from stock traders. FUD means Fear, Uncertainty, Doubt created by false statements or distortion of facts to fall the prices deliberately so that they can buy that stuff in cheap. For example, JP Morgan has created FUD around Bitcoin to buy it cheap for themselves. #5. 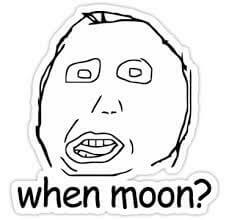 To The Moon or When Moon? To The Moon, slang is used to signal that a particular coin will rise astronomically in its price and When Moon is generally used to inquire about when a specific coin is expected to increase in price. ATM means All-Time High and is used to denote the highest price a particular coin has ever reached in its history. Like for example, Bitcoin reached its ATM of $20,600 in December 2017. #7. Whale = Trader with a lot of coins, like Bitcoin Whale. #9. Bagholder =trader left with a lot of coins to sell and is now holding the bag because prices are meager. #14. ALTCOIN = Any cryptocurrency other than bitcoin. #15. ASHDRAKED = A situation where you lost all your money. Fun Fact: I have collected these terms and jargons from the internet, and they are not to be taken seriously. Also, there exact meaning might differ in some local communities and hence are subjective. Now you tell us: Do you know any more interesting crypto slangs or jargons that I have missed here. Do let us know in the comments section below. Do forget to share this post with your friends and family who are getting started in crypto ! !